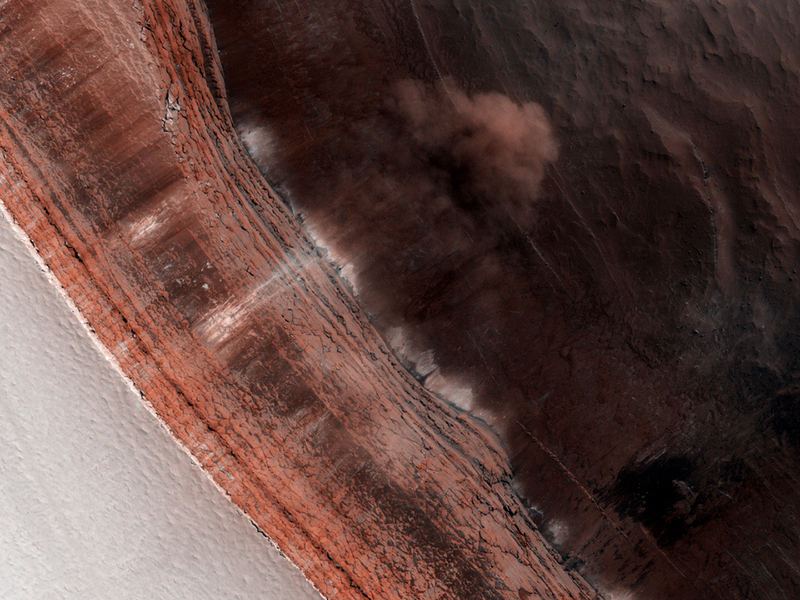 This image was originally acquired in 2011 in order to monitor for frost avalanches that occurred the year prior. 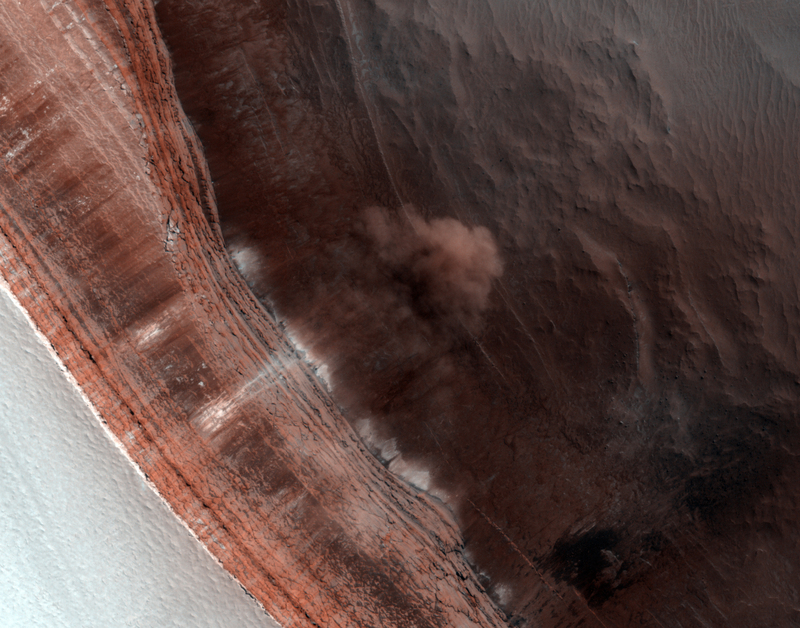 HiRISE often re-images certain areas to track changes over time. 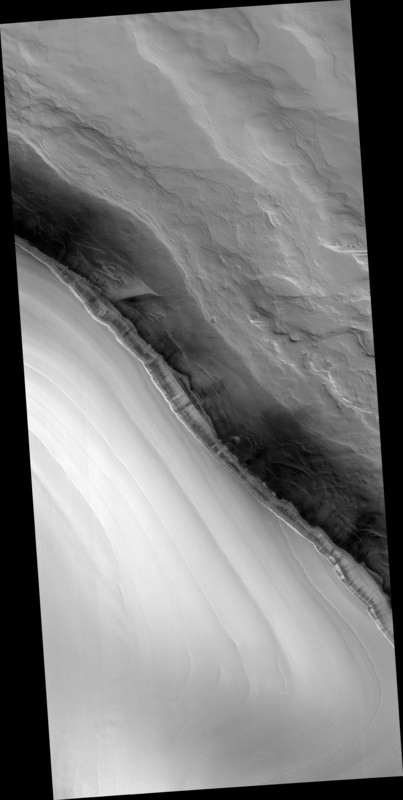 In this case, we wanted to photograph the scarp near the onset of the Martian springtime, to get a better understanding of the frequency of these frost avalanches, what triggers them and any role they have in the evolution of the scarp's formation. 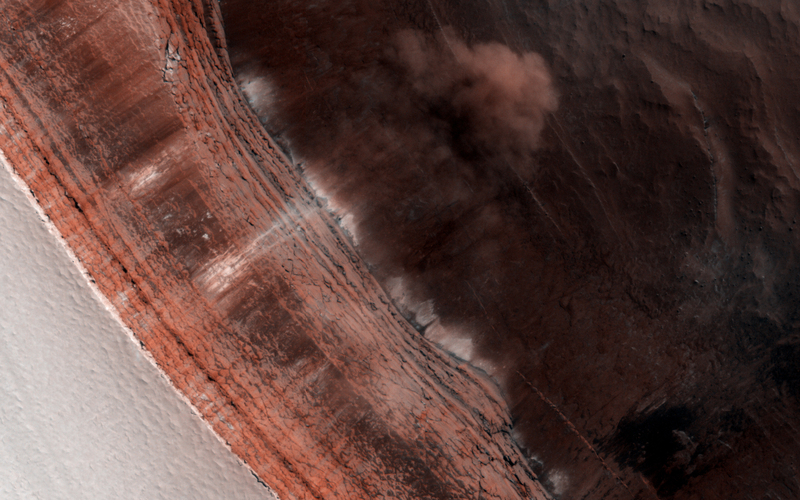 While HiRISE has captured other frost avalanches before, they never cease to amaze since it demonstrates that there are indeed active processes on the Red Planet.